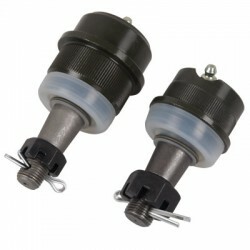 Included in kit: 2" Lift Front Spacers-- CNC Machined From T-6 6061 Aluminum. 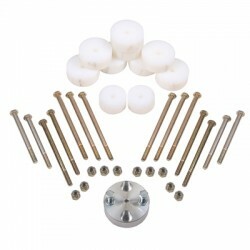 8 ball joint bolts. 2" Lift ToyTec rear add-a-leafs. Install Directions. BPV extension Bracket. NOTE: Fits 1986-'89 4 Wheel drive 4Runner only. Installation Requires (2+ Hours): .. 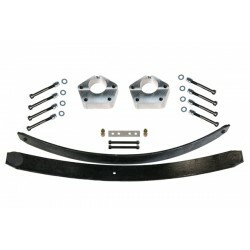 Included in kit: 2" Lift Front Spacers with hardware-- CNC Machined From T-6 6061 Aluminum & 2" Lift rear coil springs. 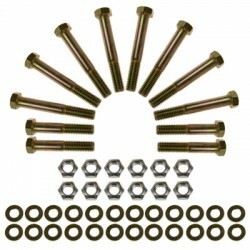 ***NOTE: This is the recommended kit for 4Runners that are lower in the rear due to sagging stock coils. 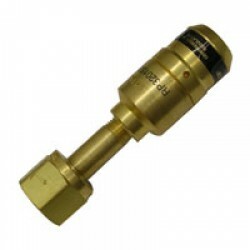 Fits 4x4 models only Installation Requir..
Front bolt on lift, no spring compressor needed. 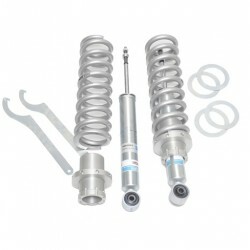 Included in kit: ToyTec Front coil over shocks adjustable from 1 to 3" front lift. Pre set to 2 1/2" lift. Bilstein 5100 Maintenance free shocks. 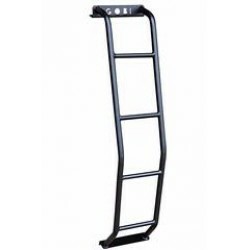 Fits 05 & UP Tacoma (does not work on the 5-Lug Tacoma), 07 & UP FJ Cruiser a.. Turn your stock FJ Bilstein shocks into adjustable coil overs! This kit works with silver Bilsteins found on Trail Teams Edition and red Bilstein shocks on the TRD models. 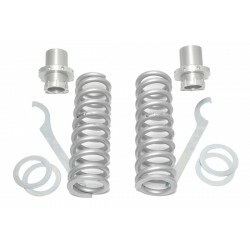 Also fits 5100 series aftermarket front shocks on FJ cruiser 03 & UP 4Runner, 05 & UP Tacoma. Will no.. These are the same as our coilovers just not assembled (Uses your stock top mounting plate) plate, assemble yourself and save $200.00! Adjustable from 1 to 3" front lift. Bilstein 5100 Maintenance free shocks. Fits 05 & UP Tacoma (does not work on the 5-Lug Tacoma), 07 & ..
ToyTec Front coilover shocks adjustable from 0 to 3" front lift. Preset to about 2 1/2" (Please set final desired ride height with provided spanner wrenches) completely assembled Front bolt on lift, no spring compressor needed. Bilstein 5100 shocks. 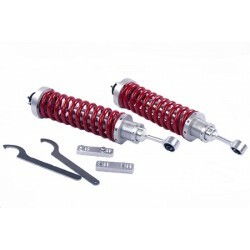 Great flex & ride on/ off ..
ToyTec Front coilover shocks adjustable from 0 to 3 1/2" front lift. Front bolt on lift, no spring compressor needed. Bilstein maintenance free 5100 shocks. Great flex & ride on/ off road. 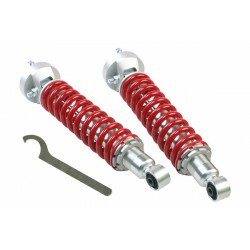 Available with 3 different front coils depending on front weight and vehicle type..
ToyTec adjustable coilover kit. Save $$ and assemble yourself using your stock top plates! 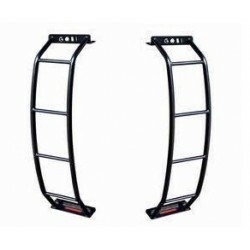 Fits 95-04 Tacoma 4x4 and prerunner and 96-02 4Runner These are the same as our coilovers just not assembled (Uses your stock top mounting plate) plate, assemble yourself and save $200.00! .. 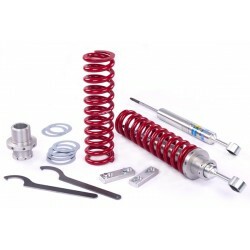 Included in kit: ToyTec Front coil over shocks adjustable from 0 to 3 1/2" front lift. Pre set to 2 1/2" lift. 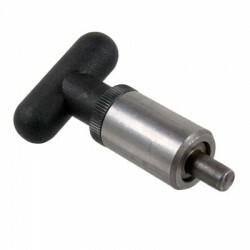 Unbeatable ride quality on and off road Front bolt on lift, no spring compressor needed. Bilstein 5100 Maintenance free shocks. Fits 07 & UP Tundra 2 .. 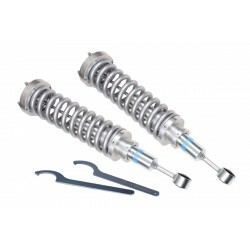 Turn your Bilstein 5100 Height adjustable shocks into adjustable coil over! 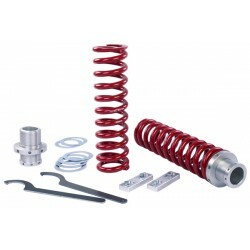 Fits Bilstein 5100 series aftermarket Height adjustable front shocks Will not work with factory Bilstein shocks or any other factyory shock Front Lift adjustable from 1.5" to 3". 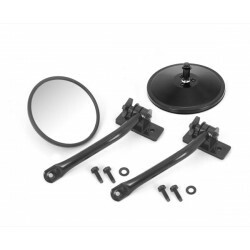 Comes as pictured ..
1" body lift kit for 2003-2009 4Runner and 2007 up FJ cruiser Includes: 6 large UHMW body lift spacers and 2 smaller UHMW spacers for front 8 Zinc plated bolts with washers and nyloc nuts Steering shaft spacer and bolts Installation Requi.. 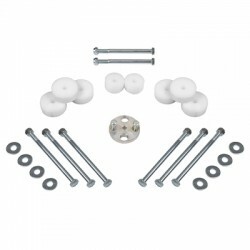 Included in kit: 1" Body lift for 96-02 4Runner. Steering shaft extension Large UHMW Polyurethane spacers and grade 8 hardware. Can be combined with our 3" lifts. 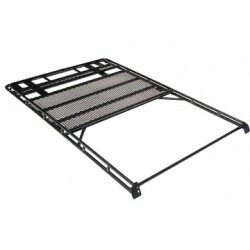 Does not include bumper relocation brackets (Rear bumper is attached to the body and therefore raises with the ..